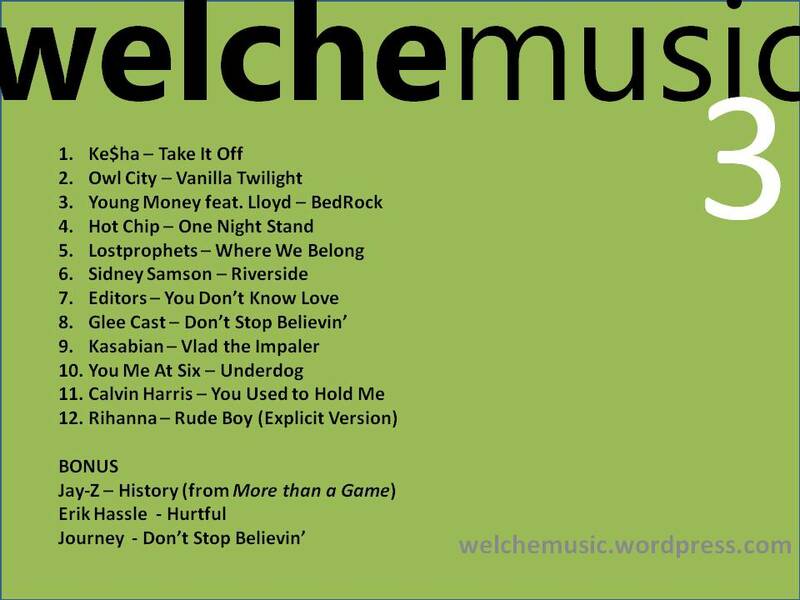 It’s time for WelcheMusic vol.3 fresh from the oven. Ke$ha storms the charts with the new album and we think that “Take It Off” is a contender for an upcoming single release. Owl City storms the UK singles chart this week with “Fireflies.” Let’s hope that the follow-up single “Vanilla Twilight” can repeat the success. Also included, current hits from Sidney Samson and the Glee Cast’s version of “Don’t Stop Believin’.” True to form, we’ve added bonus tracks. Jay-Z recorded “History” for the More than a Game soundtrack. Fredrik! Jag har laddat hem dina listor, här vill jag främst ge tummen upp för Hot Chip och Owl city, mycket bra.